20% off all May & June bookings when you stay 7 nights or more. No additional charges for air conditioning! 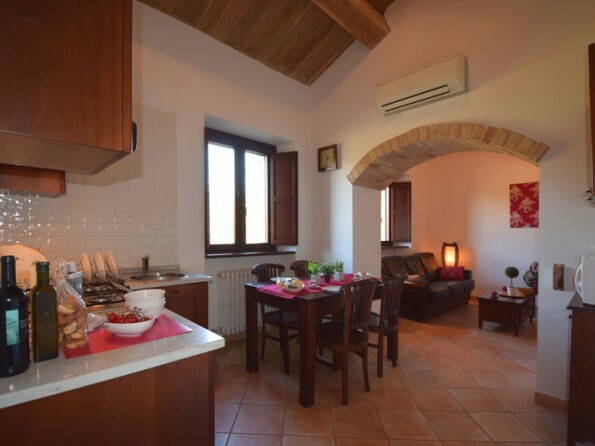 Magnificent 19th century Italian country house divided into 4 luxurious air-conditioned apartments set in wonderful countryside but within walking distance of ancient Mogliano town. 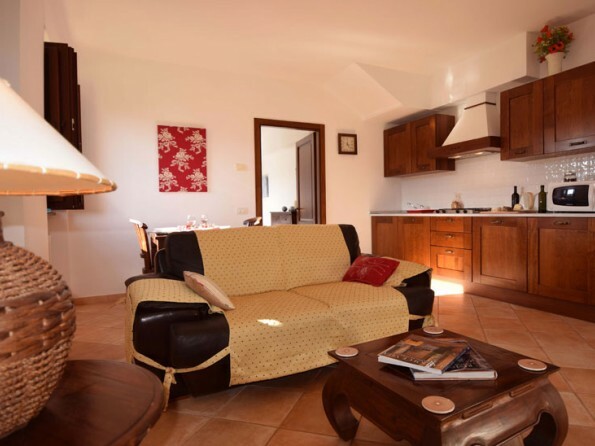 Situated in the strolling hills with views of the stunning surrounding countryside and the awesome Sibillini mountains. Caserma Carina is a 19th century listed country house and has been beautifully restored maintaining many original features. Centrally located,you can reach the coast in 30 mins and the mountains in 40 mins. Guests can relax in total comfort whilst still being only minutes away from all local amenities. There is a large enclosed swimming pool surrounded by beautifully landscaped south facing gardens, terraces and gazebo all offering more than ample space for private outdoor dining. 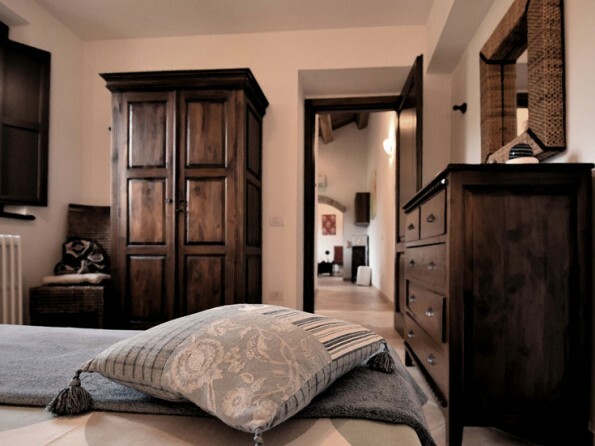 We are only a short walk into Mogliano centre which has banks, supermarkets, local shops, good restaurants and bars. Elevated, it is surrounded by high walls, including the ancient bulwarks of the original fortress. There is a week long festival in late June/early July which includes dancing, music, re-enactments from 1744 around the town and to end the whole event a spectacular firework display to music. This is just one of many local festivals occurring throughout the summer. We are centrally positioned to explore the beautiful coastline of the Monte Conero National Park, the fantastic Sibillini mountains or more locally we have an ancient Abbey and archaeological area of Urbs Salvia with the well preserved amphitheatre dating back to the 2nd century. There are the famous Frasassi Caves within an hours drive not to mention the beautiful cities of Urbino, Ascoli Piceno and Macerata. Macerata holds the second largest Opera Festival during July and August. Caserma Carina is easily reached from Ancona (1hour), Pecara (1 1/2 hours), Bologna (3 hours), Perugia (2 hours) and in fact Rome (4 hours)aiports. See ryanair for great flight deals. Apartments have been decorated and furnished to a very high standard with leather sofas and complimentary dark wood furniture. There is a shared laundry room with washing machine and drying facilities. Internet access is via WIFI. The spacious landscaped gardens offer areas for dining, relaxing or simply lazing by the elegantly enclosed 12m x 6m private pool where guests can gaze at the stunning views whilst enjoying the fresh air and peaceful surroundings. 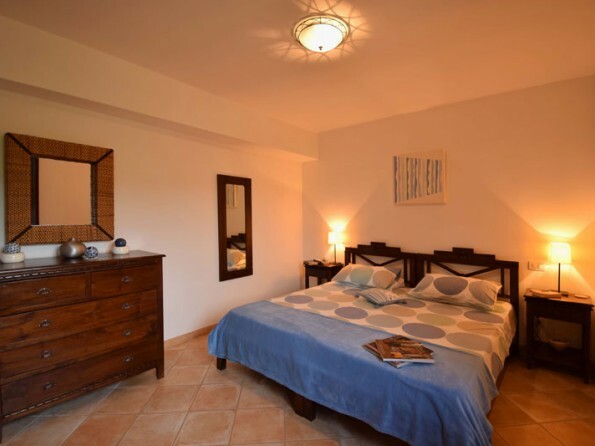 Sunbeds with luxurious cushions and sunshades are provided and Girasole (2 bedroom apartment) also has a private garden to the rear of the property. BBQs are available for use by the guests where private dining can be enjoyed on the terrace, under the gazebo, around the pool or indeed anywhere in the gardens. There is ample private parking. The pool is open between May and the end of October. We offer a small menu of locally cooked cuisine which can be pre-ordered and delivered to your apartment.Our availability is based on all 3 one bedroom apartments so where we have availability means that at least one apartment may still be available.